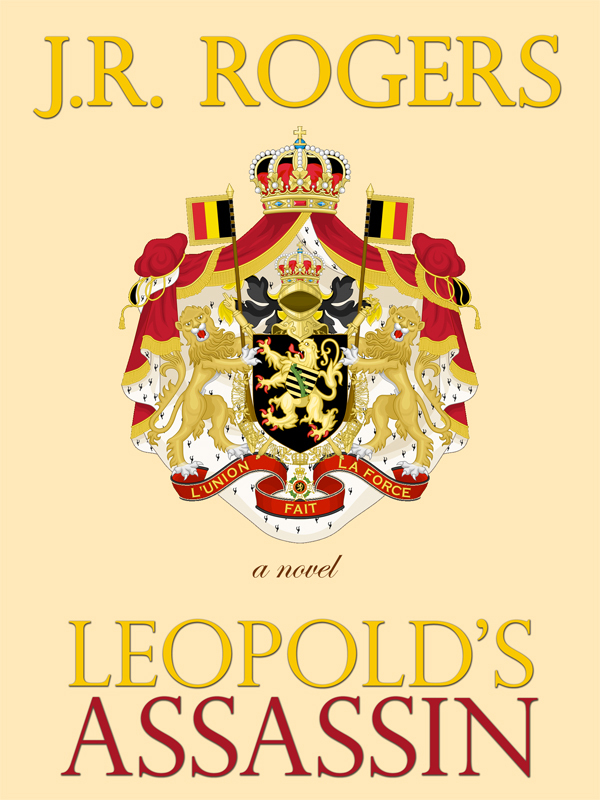 J.R. Rogers is a novelist of historical thrillers, foreign intrigue and espionage set both in places or times not often explored. He has written seven novels and also a collection of short stories. A number of his stories have been published in various literary and online publications. ​Besides writing fiction his interests include art, culture, indie film, photography and world travel. He has lived in Europe and Africa and now lives in southern California. An Italian tract writer who aspires to greater involvement in the anarchist movement agrees to murder a sitting monarch. 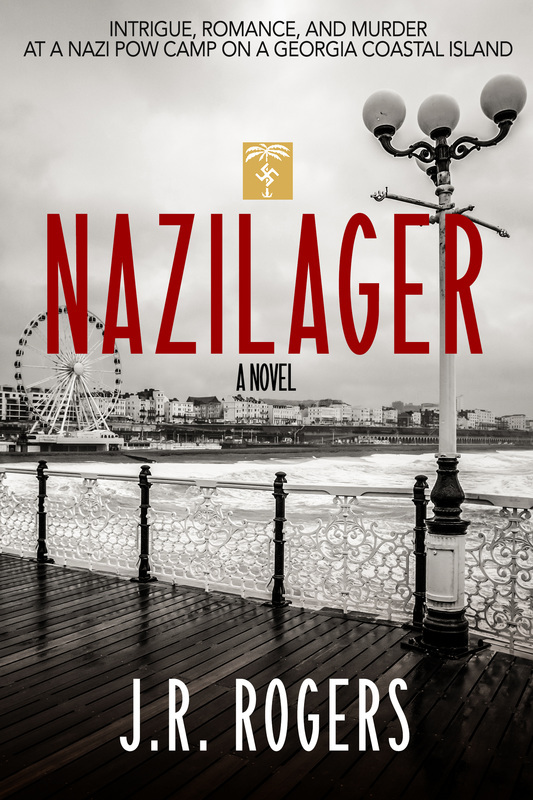 The story is set in the 1900’s in Dinard, France, a then fashionable seaside resort of stunning cliff top villas, a fabulous casino and a burgeoning art colony favored by American and British aristocrats and European royalty. After the king is slain aboard his yacht the murderer flees to Peru. Tracking him is an imperious Belgian Secret Service detective who sets off to bring the anarchist to justice. Unprepared for a life on the run the Italian treks across Latin America in search of a refuge. But he makes the mistake of his life by settling in French Guiana and Kourou, the overseas capital of the French colonial penal system and infamous Devil’s Island. A French intelligence officer prepares to leave Paris with orders to set in motion a sabotage operation in America. It promises to become either a career enhancing proposition or very likely the end of his career. WWI is raging in Europe and America is still neutral. But the spymasters in the French capital want to put an end to the highly profitable practice of allowing the Americans to manufacture munitions for the Germans that are in turn being used against them on the battlefield. Set against a portrait of pre-war New York City in 1916, the officer’s mission is the destruction of armament warehouses on a Hoboken, New Jersey pier. But when the Military Attaché at the Imperial German Consulate learns of the plot, he makes immediate plans to deal with it. 1944 – Colonel Ferdinand Hecht, who poses as a consular diplomat stationed in Casablanca, French Morocco, is in reality an SS officer with the Gestapo’s SD Afrika Intelligence Group. He directs a network of French spies reporting on American navy blimps operating from their Port Lyautey base against U-boats prowling the Straits of Gibraltar and coastal French Morocco. America’s wartime intelligence agency the OSS is handed the task of dismantling the network and Lieutenant Sam Bradford arrives aboard a blimp of the Navy’s Africa Squadron to kidnap its suspected leader and transport him to London for interrogation. Under cover as a war correspondent, Bradford’s dogged investigation reveals a trail of local townspeople whose counterfeit demeanor masks their true allegiance to the Nazi spymaster. 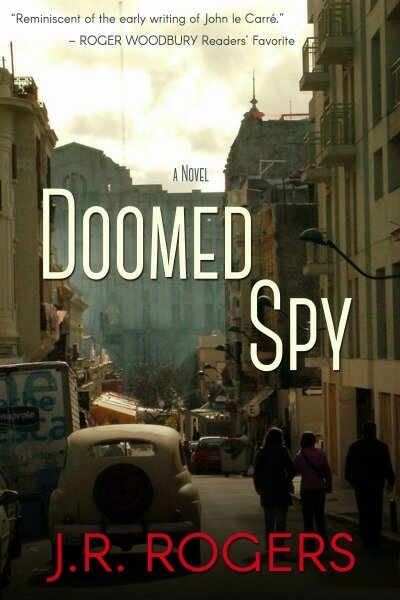 Intrigue, deception, and willful betrayal plunges the American lieutenant into a vortex of lies as the tentacles of the spy ring are uncovered, while embarking on a brief love affair with one of the suspects in the depraved Moroccan paradise. Rich with atmosphere and period detail, the intrigue is played out against the northwest coastal town of Port Lyautey on the Sebou River where, in the dusty streets and alleys and in the byzantine Medina of this small colonial seaside town, the French influence is evident, but the compelling force is Arabic and overwhelming. 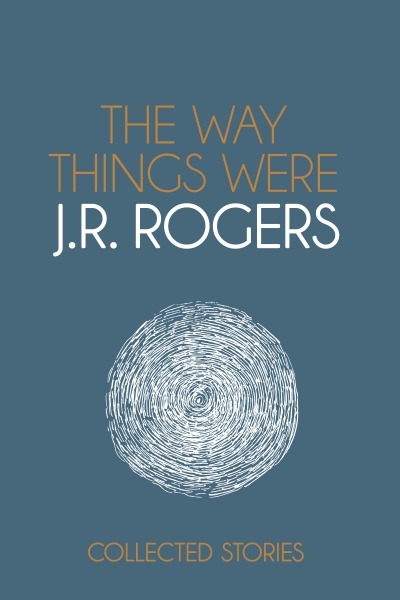 A mixed theme anthology, The Way Things Were, is a first collection of narratives by this historical thriller novelist. Set both in the United States, and in various parts of the world, the author conjures up a broad range of unusual characters and plots often set in unforgiving and unfriendly worlds. This is an intriguing selection that evokes the range of human emotions and the unpredictability of life. The writer’s reach is wide, including stories with historical settings, stories of today and one of old age in an imagined future. Many of the narratives first appeared in various literary journals and or online. 1974 – An intricate thriller of espionage and foreign intrigue, the novel turns on a Cypriot hit man hired by the CIA to assassinate a female Soviet mole en route to Leningrad aboard a Soviet freighter. Charged by the Justice Department and the FBI with espionage and facing arrest in Washington, D.C., the CIA intervenes and allows the Soviets to recall her, in order to avoid the embarrassment of revealing to the world that the U.S. had been duped. Now the CIA sets in motion a covert action to board the vessel at its final port of call in Famagusta, Cyprus and there deal with the mole once and for all. As the Agency plots the slow progress of the freighter across the Atlantic and into the Eastern Mediterranean the ouzo flows and the cigarette smoke swirls in the Constantia Taverna in Famagusta where the Cypriot and his former sidekick, who wants in on the action, debate the risks of the assignment and how best to carry it out. But an hour away, in the capital city of Nicosia, and behind the closed doors of the Soviet Embassy, countermeasures are being put into play. From Moscow to the KGB Rezidentura comes a heightened alert the Americans intend to double-cross them. 1943 – Obersturmbannführer Lt. Colonel Carl von Glasow and his fellow battle-weary officers of Rommel’s 15th Panzer Division, Afrika Corps, have endured the humiliation of surrendering to the Allies in Tunisia. Resigned to riding out the war in a North African prisoner of war camp they are surprised to learn they are being shipped instead to a U.S. Army POW camp in America. Nothing prepares them for the vivid contrast between the burning sands of the Tunisian desert and the murderous tank wars they waged there and the small, peaceful and idyllic Georgia coastal island town of Sorrel Island. During the summer the population swells as mainlanders from nearby Savannah alight from the daily Central of Georgia trains or drive over the causeway in their Ford Deluxe Fordors and Chrysler 66s. Vacationers flock to the pristine beaches, revel in the cool saltwater breezes, and enjoy the amusement pier with its Ferris wheel and the music pavilion that host traveling big band tours. Referred to as the “Nazi camp” by the locals, and Nazilager by the inmates who still proudly wear their sand-colored desert fighting uniforms their presence incites disturbing emotions. The coastal islanders are nervous about sharing their idyllic location with a hastily constructed POW camp for captured German officers. They couldn’t feel further away from the ravages of the far away war “over there” and yet they are not immune from it. The persistent chatter on the beaches and in the hotels and rooming houses is the likelihood of a prisoner escape. A groundswell of opposition and fear from year-around residents erupts when on the first day a German escapee is shot in broad daylight. Young first-term town council president and mayor Connie Hopkins does her best to assuage their fears all the while confronting her own feelings when Major Bill Ferguson, the camp’s assistant commandant, launches a campaign to seduce her. Meanwhile behind the fences and guard towers, and inside their wooden barracks and mess halls, several renegade Nazi officers embark on a plan to escape to neutral Argentina. And when Lt. Colonel von Glasow learns of the plan his mettle is tested as he makes the most fateful decision of his life. 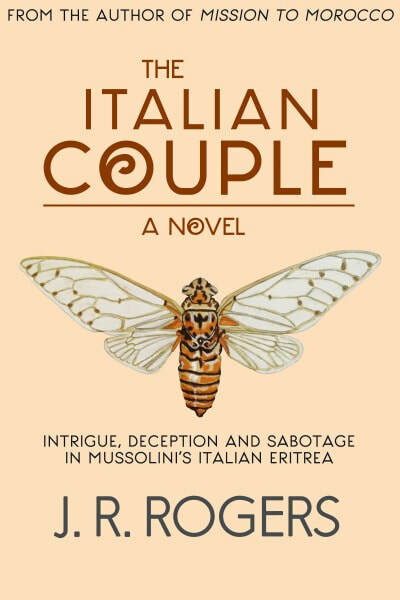 Colonel Francesco Ferrazza, a disciplined and inflexible Royal Italian Army officer with Italy’s Fascist Military Information Service, and his attractive British wife, Emilia, are posted to Asmara affectionately referred to as ‘Little Rome’ by Mussolini. The colonel is a familiar figure at the military casino and bordello where he brags at the bar he can bend a fireplace poker in half. But he is astonished when in 1938 he is ordered by his Rome superior to set in motion an unusual but clandestine sabotage operation of the engineering marvel that is the Asmara-Massawa cableway that links Italian Eritrea to the sea. Built by the Italians it is the longest aerial line of its kind in the world but it is of such strategic importance the army comes to realize they may have made a strategic mistake in constructing it. They fear it could fall into the hands of neighboring Ethiopia—whom they defeated in a colonial war just two years ago. Fearful of the devastating power of exposure Ferrazza sets out to find someone to carry out Operation Red Lion and meets Mario Caparrotti, an amateur race car driver. He plans to compete in the first Christmas Day automobile race through town. Greedy, boastful, and ignorant, Caparrotti is all of the things the colonel detests in his fellow human beings, civilians in particular. But Ferrazza is desperate to recruit him because he is a cableway mechanic who has unfettered access to the engine room. The colonel entices him with his wife. Prodded by her husband the reluctant Emilia unhappily plays her part by becoming Caparrotti’s lover. 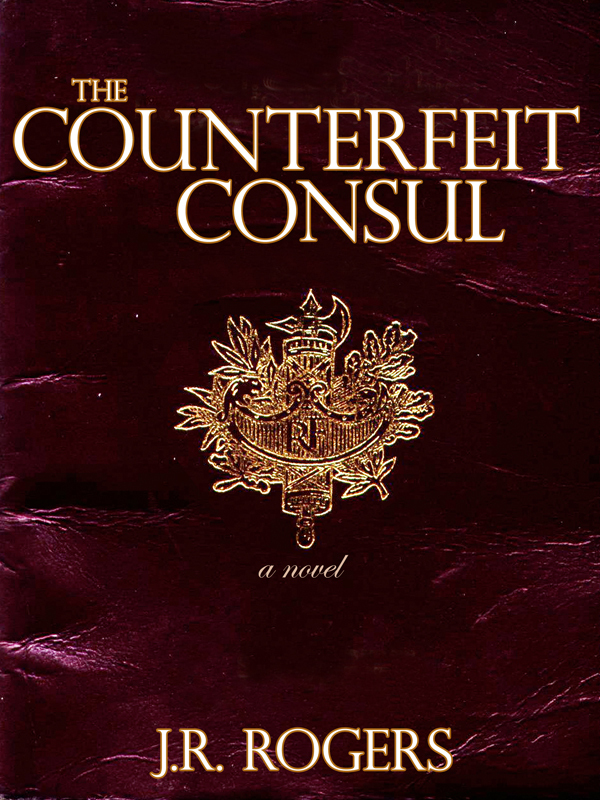 But things begin to fall apart: Caparrotti balks and now also demands significant sums of cash and when the colonel murders a colonial civil servant who has somehow learned of the plot he orders Caparrotti to help him dispose of the body. With the driver more reluctant than ever, and with the deadline drawing nearer, the colonel will do anything to ensure the sabotage is carried out. 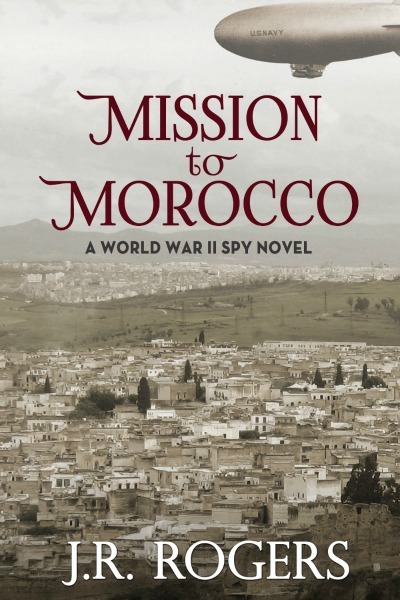 Unexpectedly, Gyles Aiscroft, a Rome-based British freelance foreign correspondent, and an old family friend of Emilia’s parents arrives in Asmara. Her father, Edmund Playfair, the senior intelligence officer at the British embassy in Rome, has asked Aiscroft to look in on her. An older man she finds herself drawn to him and confides her plight to him. They embark on a brief, intense affair. But what she doesn’t count on is his falling in love with her and wanting to whisk her off to Capri. Determined to leave Africa with his mission complete, and with the deadline almost upon him, Ferrazza instructs the resigned and fearful Caparrotti how to go about setting the dynamite charges. And as the tick-tock of the clock counts down the final hours the colonel belatedly begins to grasp that in ‘Little Rome’ nothing is what it seems, no one can be trusted and, when serving Mussolini, failure will never be condoned.